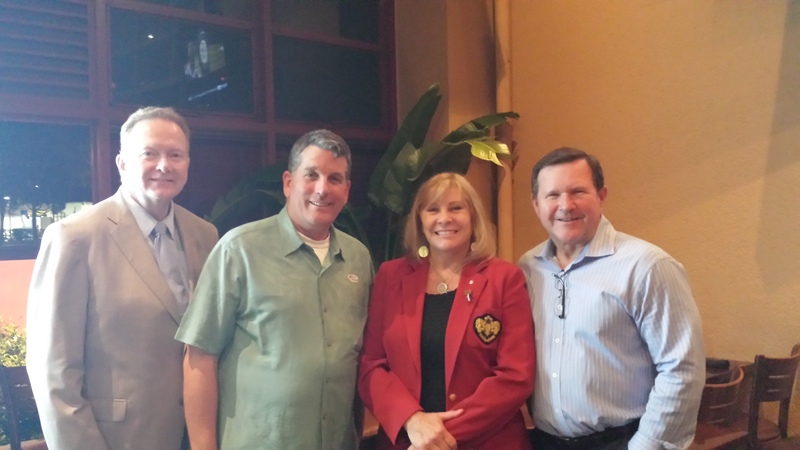 ORANGE COUNTY, CA –The Lincoln Club of Orange County joins the growing list of endorsements for Mayor Linda Lindholm, the leading candidate for Orange County Board of Education in Trustee Area 5. They join the California Women’s Leadership Association, the Republican Party of Orange County, Atlas PAC, and a large number of school board members and local elected leaders in endorsing Linda Lindholm for the Orange County Board of Education. ORANGE COUNTY, CA – The California Women’s Leadership Association of Orange County has officially endorsed Laguna Niguel Mayor Linda Lindholm in her campaign to become South Orange County’s representative on the Orange County Board of Education. ORANGE COUNTY, CA – Atlas PAC has endorsed Mayor Linda Lindholm in her campaign to become South Orange County’s representative on the Orange County Board of Education. The group joins a growing list of education leaders, organizations, taxpayers, parents, and teachers supporting Lindholm for Orange County Board of Education, Trustee Area 5. In an unusual incident, there is a candidate for the Orange County Board of Education, Trustee Area 5, who is claiming a federal building as a residence on her voter registration form. The Registrar of Voters does not publish candidate addresses online. However, it does have candidate addresses available for public viewing and copying at its front counter, since candidates’ addresses are subject to public disclosure. That’s right, Kimberly Clark is claiming a United States Post Office as her residence. Yes, I’m aware that it’s permissible to claim a post office as a mailing address, but she has PO Box 938 as her mailing address. She clearly has 24551 Del Prado as her residence address in the filing log. I’ve heard of accusations of candidates registering to vote at addresses where they do not live, but this one has to take the cake. Usually, candidates will at least claim a residential building, but to claim a Post Office?! That’s ridiculous. In a time when there are State Senators who have been convicted of eight felony counts for perjury and voter fraud by claiming a false residence on their voter registration forms (if you don’t know what I’m talking about, Google “Rod Wright” or Google “Roderick Wright”), you would think a candidate would be a little more discreet than claiming the Post Office as a residence. After the District Attorney obtained search warrants for both Wright’s claimed residence in Inglewood and the residence in Baldwin Hills investigators say was his actual home, a grand jury indicted Wright in 2010. Just this January, Wright was convicted of perjury for lying about his address on voter registration forms and candidacy forms and for voting in five elections in 2008-2009 at his fraudulent address (remember, there three statewide elections in 2008 and a statewide special election in 2009; this is in addition to local 2009 elections in LA County). Wright’s sentencing is scheduled for March 12, and he could face up to eight years in prison. Wright’s defense hinged on the legal definition of a domicile, as opposed to the definition of a residence, but the jury didn’t buy it. It would be more challenging to argue that a Post Office is either a domicile or a residence, as Wright claimed a residential building, rather than a Post Office. A similar case is pending against former LA City Councilman Richard Alarcon (himself a former state senator) for perjury and voter fraud. There is some legal wrangling over the Alarcon case, but this one is over whether prosecutors considered adequate evidence proving that Alarcon resided at his claimed address. Again, it’d be tough to have evidence proving you reside at a Post Office. Clark has pulled papers for OC Board of Education Trustee Area 5 to run against incumbent Elizabeth Dorn Parker and Laguna Niguel Mayor Linda Lindholm. Parker’s Costa Mesa residency and Lindholm’s Laguna Niguel residency are both well-established and unquestioned.